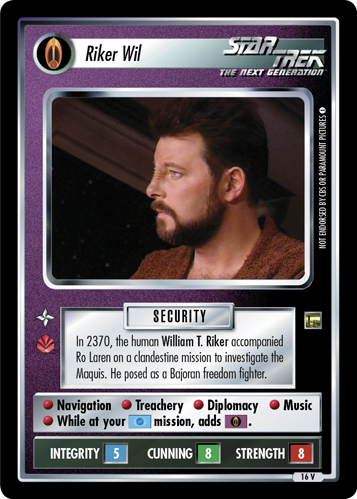 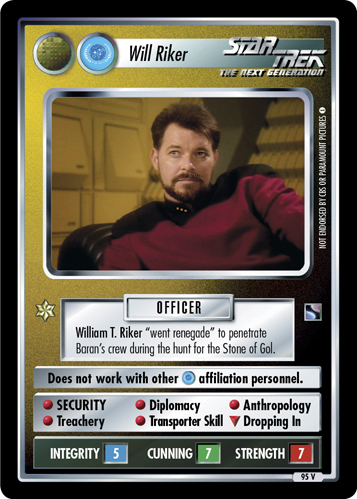 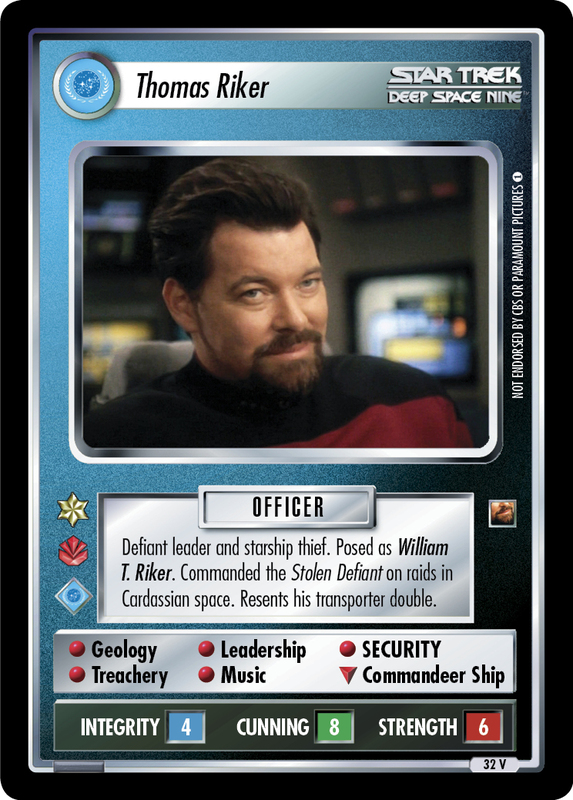 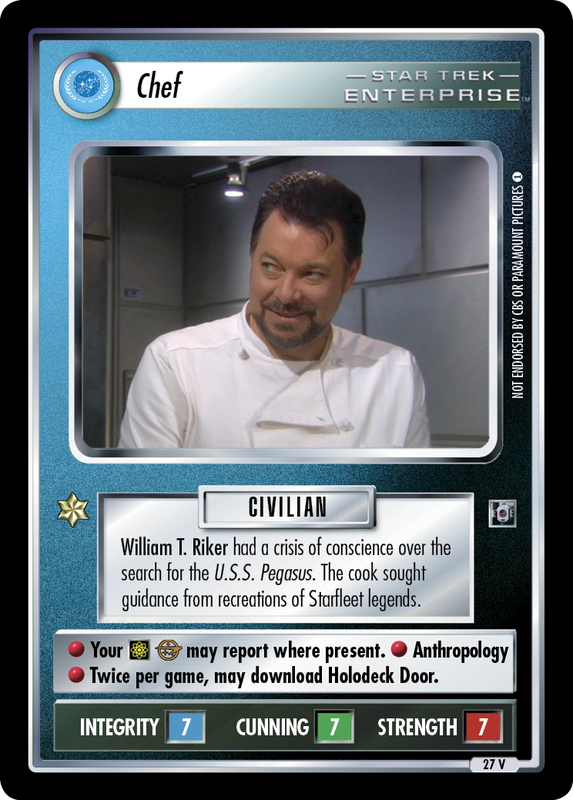 In 2370, the human William T. Riker accompanied Ro Laren on a clandestine mission to investigate the Maquis. 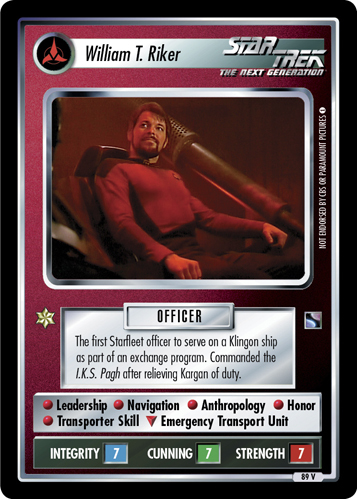 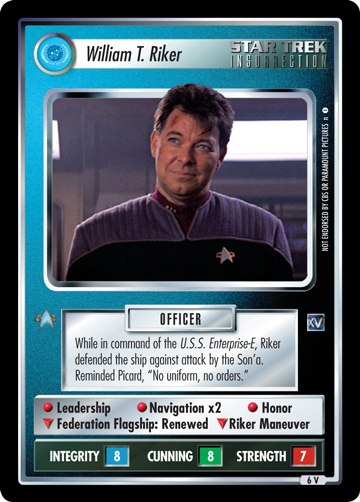 He posed as a Bajoran freedom fighter. 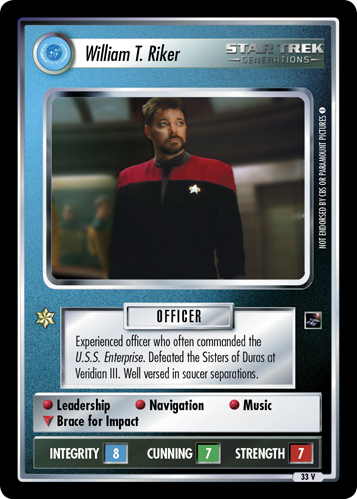 • Navigation • Treachery • Diplomacy • Music • While at your mission, adds .